We are Luminary! Baked goods are our jam and we love making them beautiful, delicious and life-changing. Here at Luminary we are on a mission to changing the lives of women who have experienced significant abuse and trauma, and our beautiful, artisanal baked goods tell their story. Luminary treats are perfect for big or small events, memorable parties, important meetings or a really great staff treat. 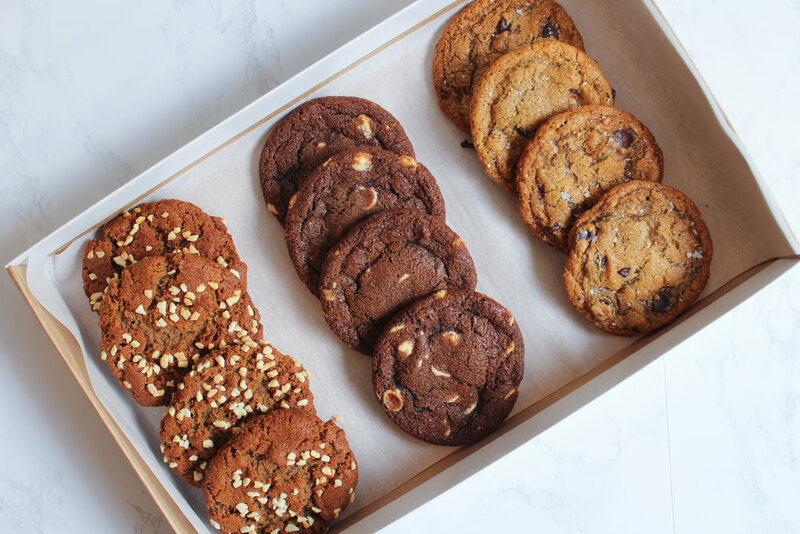 We do a range of baked goods from traybakes, including our signature salted caramel brownies, cookies including the hands-down customer favourite vegan peanut butter cookies, and striking layer cakes - of which our carrot cake has been called ‘the best carrot cake ever’ so many times we’ve lost count. Our baked goods can be chosen by the item, or we offer them in handy packages for you to select from depending on your event. Just check out the snaps below or our Instagram page for inspiration. PLUS, every purchase you make from Luminary helps us to train, support & employ more women in our bakery, helping change the trajectory of their lives and reach their potential! So if you’re on the lookout for superbly tasty, wonderfully homely and frankly jaw-dropping baked goods then we’re your girls! Want to be part of our story? Give us a buzz on 020 7686 9779 or fill out the form below and we’ll be in touch! These rich, luxurious brownies are an all-round crowd-pleaser! Try a tray of one flavour such as our customer-favourite salted caramel, or get a mix of flavours so there’s something for everyone. Flavours include: vegan cherry & coconut, marshmallow, nutty, peanut butter, salted caramel, or a classic plain. Our chewy, sweet cookies are packed full of flavour and love — and have a nation-wide fan base! With vegan and gluten-free options available, what’s not to love! Flavours include: vegan dark chocolate chip & sea salt, double chocolate & vegan peanut butter. 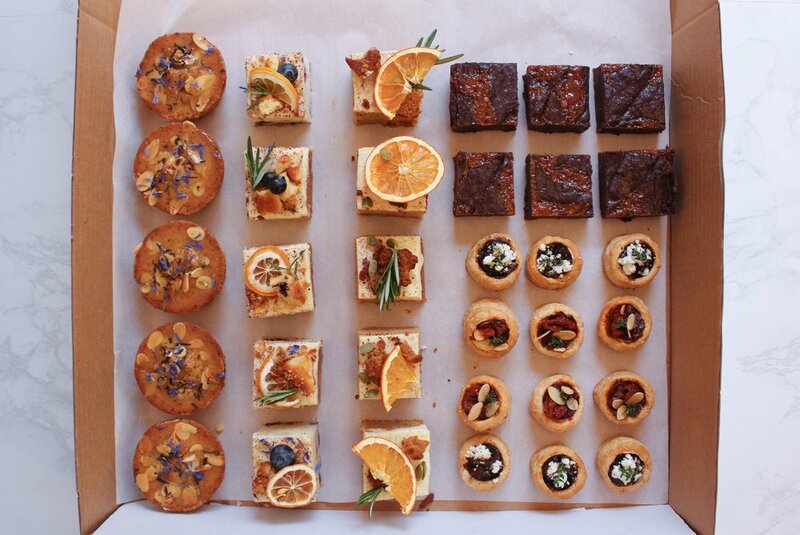 Want to WOW your party guests with nibbles that look good, taste good and even do some good? Let Luminary take this part of the party-planning off your hands, allowing you to spend time with your guests & stress-free! With a selection of sweet & savoury products, all freshly made-to-order, the Party Package is your one-stop-shop to happy host, happy guests. Planning a party, or treat for a loved one but short on time? Let us do the work for you with this made-to-order Afternoon Tea package. Filled with decadent, eye-catching treats, this can’t fail but impress! Tell us briefly what you're looking for.